Well done to all pairings who went out to play in very windy conditions yesterday. The Claret Jug was retained by last year's winners, Padraig and Liam Noonan with a very impressive score. Liam Noonan got the longest drive, but spoils for nearest to the pin went to one of our parents, Jerry Dempsey. 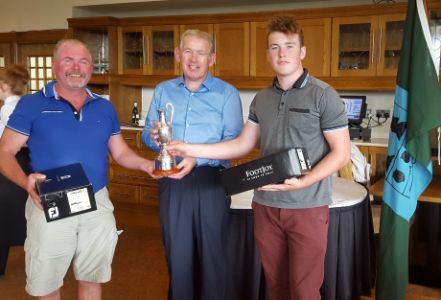 Second place went to Sean and Sam McCarthy, with third going to Des and Jim Cullen. 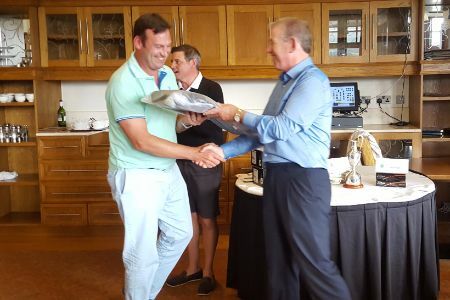 A big thank you to Dun Laoghaire golf club, and to our main sponsors, Keith Bardon of Titleist and Mark Wyse of UnderArmour.